Join astronomers from Test Valley Astronomical Society for this free stargazing event (donations welcome!). See the lunar eclipse, Jupiter and the rings of Saturn. This event is weather dependent so do check with the organisers beforehand! 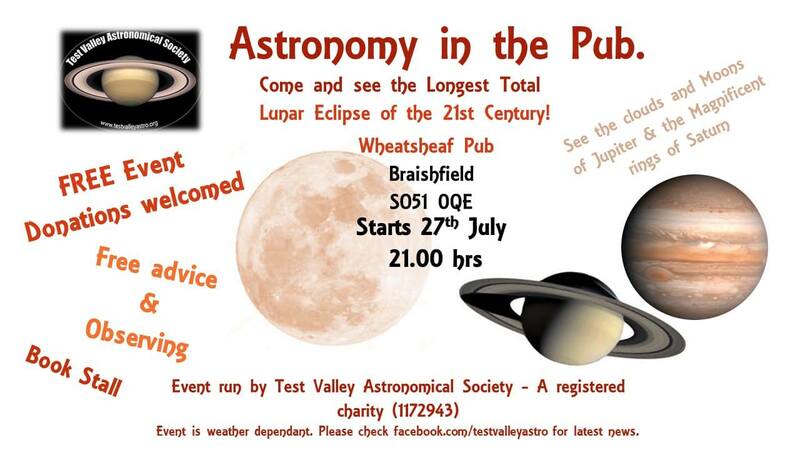 This event is being organised by Test Valley Astronomical Society who should be contacted if you have any queries. We highly recommend you confirm this event is indeed going ahead before travelling. If you do attend it would be fantastic if you could let the organiser know you found them via Go Stargazing! 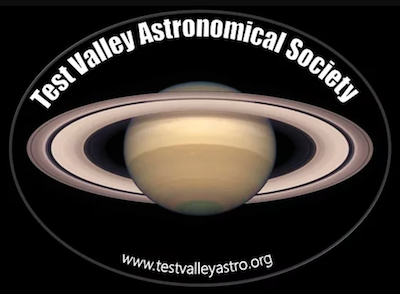 Please contact Test Valley Astronomical Society directly for more details regarding this event or, if appropriate, contact the event venue. The below graphic shows if and when it will be dark at The Wheatsheaf - Braishfield on the evening of this event. Yellow areas show when the skies are not dark due to daylight (bold yellow) and moonlight (faded yellow). Click on the image for an explanation on how darkness is determined.